Yesterday Suunto announced further details of their Spartan series, including the addition of the Spartan Sport, which is basically the cheaper sibling of the Spartan Ultra. The Sport is at 499EUR, vs the Ultra at 649EUR. Neither include the kitchen sink. However, both do include a color touch screen and the ability to customize a crapton of data fields (7 fields on a round watch!). 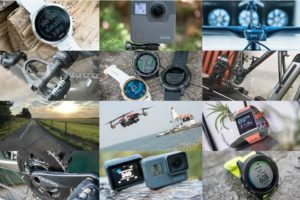 So if you want those details, check out my existing/updated Suunto Spartan post, where I’ve added a new section today with all the tech specs released to date (plus their full 91 page PowerPoint deck on the device/platform). Doing it there just keeps things nice and tidy until I’ve had a chance to try out the watch in person, which should happen soonish. Maybe it’ll arrive in time for my birthday later this month. But this post isn’t about when that unit will arrive (or my birthday). Obviously, adding optical HR sensors to watches is all the rage these days – and for good reason. There’s both user-experience benefits of using an optical HR sensor over a chest strap (namely that many people find chest straps uncomfortable), as well as data benefits like being able to track HR over longer durations such as days or weeks. However, there are also downsides. Specifically, depending on the sensor selected, accuracy can be an issue. You’ve heard me talk a lot about how incredibly important optical HR sensor selection is. After all, none of these watch companies make their own sensor from scratch. Rather they buy off the shelf components and roll their own sensor setup, or they buy an off the shelf optical HR sensor package from a vendor. Or they do some blend of that. 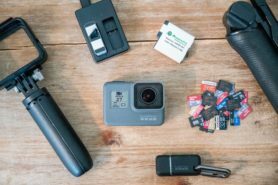 There’s also a blend of deciding whether a sensor is tuned more towards capturing 24×7 data or capturing sport data (which is often driven by battery consumption challenges). Note when I say ‘package’ in this case, I’m referring to a collection of hardware (LED’s, optical sensor itself, chipsets, etc…) combined with firmware for it, and then the software processing that takes the signals and figures out good data from bad data. In most of these cases, it’s the software level that’s most critical here. 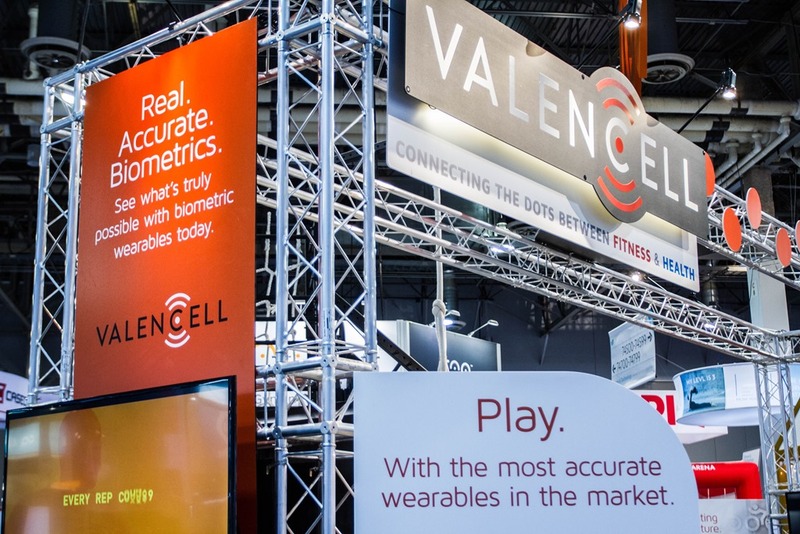 Remember, Valencell even sued Fitbit & Apple over it earlier this year. Either way, which sensors they choose is the difference between awesome and suckville. And in many (most?) cases, the bigger and more name brand the companies the worse. Yes, I said worse. Apple, Fitbit, Polar, and to a lesser degree Garmin have all rolled their own, and all of them have on average poorer results than that of companies that focus purely on creating a good optical HR sensor (Mio’s sensor by Philips, and Valencell). Epson is the lone duck that actually rolled their own sensor package and came up with something pretty darn solid. Albeit, it doesn’t do 24×7 HR, which makes their job technically easier (again, battery consumption). E) Ownership aspects (be it support, legal, etc…). An example of a company being swayed by future technological capabilities is TomTom. They noted last fall that a key reason they selected LifeQ as their sensor package partner was due to planned capabilities in that product roadmap, which they believe will give them a competitive edge down the road. They talked about some of these capabilities in this section of this post. As you can see, it’s not quite as cut and dry. Of course, as with most of the business world – money does talk. So you can bet pretty safely that the primary/driving reason behind why one company chooses one option over another is simply cost. An assertation easily validated by my discussions with some of these major companies over the past few years. At which point athletes everywhere should rejoice. I’ve often noted that I find the Valencell technology (which I personally use in the Scosche Rhythm+ optical sensor strap) to be the best on the market today. Or in the same ballpark as the Mio (by Philips) optical HR sensors. Both very accurate. For me I even find the Scosche (Valencell) even more accurate than traditional HR straps when in cooler/drier weather that can result in HR spikes/drops with traditional chest straps lacking moisture. This would also mark the first of the mainstream sport companies to go with Valencell in a watch form factor. As well as being the first to turn the tide of not rolling their own. You’ll remember that Garmin initially used the Mio/Philips combination on the FR225, and then switched to their own ELEVATE package for the FR235. Similarly, TomTom used the Mio/Philips package for the TomTom Cardio lineup, and then switched to LifeQ for their TomTom Spark series. Of course, the next question is whether Suunto plans to do 24×7 HR monitoring with it (this post explains what that is and the benefits). And indeed, they confirmed that’s in the plans. Suunto noted that the exact implementation of that remains a bit in flux, which is reasonable given we’re talking 4-5 months out. There’s a lot of room in how different companies handle and record 24×7 data. At one end of the spectrum you have companies like Basis and Fitbit, which sample as frequently as once per second. Whereas at the other end you have Garmin, which can fluctuate wildly throughout the day on sampling rates (easily missing moments). For example, over the last day my Garmin watch has shown recorded HR gaps of over an hour. With Valencell, there is the element that they don’t have as much of a history 24×7/continual HR monitoring. Instead, their focus has been on the sport recording (which is far harder). 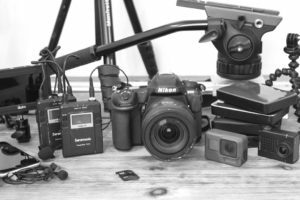 The key challenge in 24×7 HR monitoring is simply balancing battery life vs recording rates. The more you sample/record, the less battery you get. The equation isn’t rocket science. Part of the reason Valencell’s existing sensor setups are so good is because they don’t tend to get multiple days of battery life. Rather, devices are usually in the 10ish hour range. But again, their focus has purely been sport. This post from Slowtwitch earlier this fall outlines a small portion of the sport-specific testing they do daily. Today Valencell is in some wrist devices, such as the Atlas Smartwatch. But in that scenario they don’t do 24×7 HR monitoring, but only on-demand (for workout or one-time checks of HR). 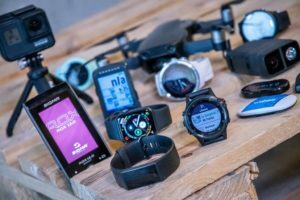 So it remains to be seen if they’ll be introducing a new sensor package for use with Suunto’s devices, or if there are some tweaks the two companies are putting together to allow more continuous HR monitoring. I’ve reached out to Valencell for clarity and will update this section once I hear back. Of course, with any optical HR sensor the proof is still in the pudding. We won’t get the Valencell flavored Suunto pudding until this holiday season, but what we do know now certainly lays the stage for things likely being worth the wait if you’re interested in accuracy. I suspect what will emerge is that folks will be playing a bit of a decision game between Suunto Spartan and their likely higher accuracy optical HR sensor, vs Garmin and their Fenix3 series which has more features (but slightly lesser HR accuracy in certain situations). Of course, we also don’t know the final pricing of the Suunto units. At present the non-optical Suunto Spartan Sport/Ultra are priced higher then competitor models. It’s too early to know whether they’re worth that higher cost. And similarly, we also don’t know if Suunto will escalate pricing even further on the optical HR units, or if instead, they’ll be price competitive and try and lure people over. Either way – an interesting holiday season is definitely going to emerge. I hope they will take vallencell. For me rythm + is way more precise on intervals and similar than mio. I read at suunto.com Suunto Spartan is up to 7 data fields per screen. Are you sure it’s 8 as you noted above? Correct, should be 7. Fixed. Had it right in my other post, just typo here. This is the news (and product) I’ve been waiting for to succeed my Ambit3 Sport. Will continue to monitor what you & Suunto have to say as the Spartan series comes to life. Thanks for the update! There’s a long list of features coming after the baseline that’s in the watch right now. The prioritization is done together with users. If you want to contribute, check the link above. As it comes to the custom apps, and indiviual app is only a few lines of code but to enable that, there is a big system behind, both in the watch and in Movescount to make it possible. Updating that to support Spartan is definitely high on the to-do-list but takes time. Do they plan wrist heart rate for Spartan Sport only? No plans for wrist HR on Ultra? Ray, do you have any insights re this? As of present they only plan for it for the Sport edition. 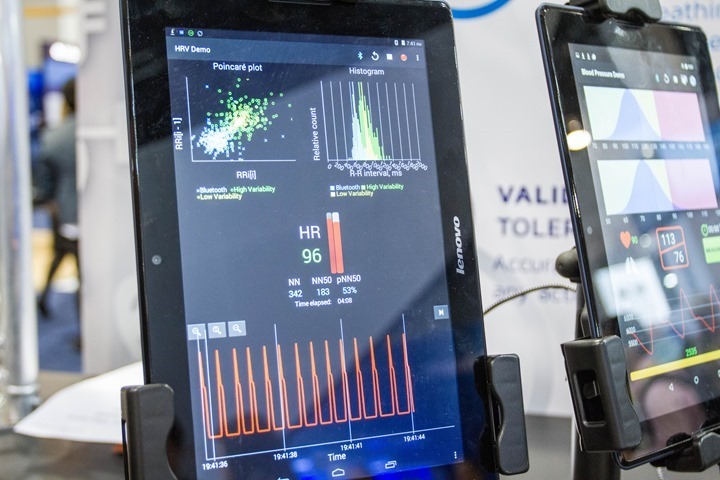 Can HRV calculations be done with a good optical HR monitor like the Valencell? Will the Valencell sensor do R-R data? Suunto was always quite hot on that, even back in the T6 days. In my chats with Suunto they noted that the extent at which optical HR will be utilized for things like recovery is still in flux (which implies they’re probably seeing to what extent HRV data can be pulled from the sensor). Wouldn’t valencell be the people to ask about their PPG-derived biometrics accuracy? They’re putting together some responses for me (from yesterday). And that was one of them. That said, like any company – they’ll say it’s great. So it’s still a matter of time/testing to validate independently whether that’s true. Thanks for the report, I’m looking for a 24/7 HR device and if I have read your reviews correctly it seems that Fitbit currently is the leader, correct? As a 24×7 device, the Fitbit does well (Basis gives more data though, but their devices are currently recalled). However, as a fitness device, the Fitbit doesn’t do as well. Excited to see how this all pans out. Went from the Ambit3 Peak to the Fenix 3 HR and have been patiently awaiting the next wave from Suunto. Knew it was only time since they revamped Movescount. Can’t wait for your review! Will the optical hr be also added to a new spartan ultra or just for the sport model??? I was just wondering if the ultra does have a 5sec recording gps feature to enhance battery life up to 200h just like the ambit 3 peak and ambit 2. Agreed, why would they not include it in the Ultra? 🙁 I hate having to choose between those two. Let’s hope GPS accuracy is good in Spartan. Unfortunately, as it currently stands, it isn’t. It’s worse than my old Ambit3 Peak but better than the Fenix 3/HR. I asked Suunto if a fix is coming soon as my return window is a couple of weeks. While my FR235 has been great, if the OHR in the Suunto can provide quality 24×7 data, and accuracy rivaling the Scosche, I could definitely see myself making the move to Suunto. You mention that battery consumption is main/only the sampling rate. But couldn’t there also be some tricks around using less light at night, when it’s dark? Assuming the LEDs are the big power eaters. Do you know of any companies doing that? I also wish Garmin would turn the HR sample rate to max, when they detect baro change. Both to detect stairs more accurate, but also to get the full HR peak, when walking up. I wonder if I can hold my fire long enough to get a Suunto rather than the fenix3 HR or the more tri/run-focused HR one. That’d be a tougher call to make if Suunto was putting the HR on the Spartan Ultra, which is more like the Fenix 3 than the Spartan Sport is. I have the F3HR and am unimpressed by its HR abilities (too many weird spikes), but it’s serviceable enough for my needs 90% of the time. But if I could get the Ultra with the Valencell in it… that’d have me scratching my head. RAY, cooler/drier weather, You’ve got to admire other languages that aren’t full of similar sounding words that trip you up left, right and centre. IIRC the German dictionary has 5000 less words than the English one. As for the watch, i could be all over this as i have two scosche’s that i use with my Polar’s. Can’t wait for the hands on post. Mr Polar if you happen to catch this lets see what aces your holding!!! For me, the major drawbacks of device based HRMs are the placement (wrist vs higher up on the arm) and the fact you have to wear the watch against the skin and so in colder weather you cant place it above clothing and still get HR. There is obviously nothing than can be done about the latter, but are you seeing any performance improvements for wrist based placement? I used to wear my Mio on the wrist and it would be quite slow to react and would often take an age to pickup HR at the start of an activity. The scosche is great as I can put it up on my forearm/bicep and tend to get much better results than when I used to wear it attached to the underside of the strap of my FR220 (yes, it was me that ‘invented’ the FR225!). Or do you see wrist placement as just inherently ‘less accurate’, but you trade that for the added benefits of a single package, 24/7 convenience etc ? This has made my day. Thank you. 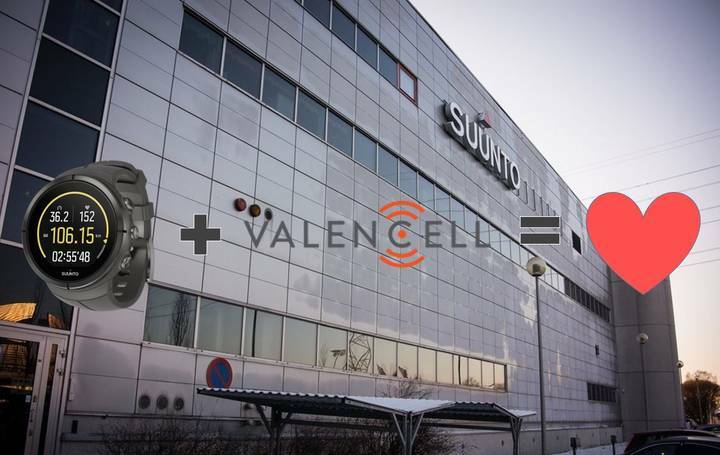 I saw some Valencell video from a conference where they were showing off their technology and they said they are working on all sorts of recovery technology so I’d be surprised if that didn’t come with the Suunto Sport. It’s going to be a long wait till Christmas. These are great news! Just when I thought I will use my Ambit3 Sport for a few more years, the Spartan Sport is announced. Is there a reason why we can’t select either a high sample rate for sport or a lower rate for 24/7 ? Is it a hardware limitation ? I’m skeptical that the Suunto Spartan will be as accurate as the Scosche Rhythm+ as it is limited to being worn near the wrist bone only. I still think part of the Scosche’s advantage is that it can be worn near the elbow or upper arm where blood flow is much better. Agreed and why I’ll be buying the ultra. Even with OHRM the only reason I’d want it is for 24/7, and the watch seems a bit large to wear 24/7. The 735 I have is about perfect for 24/7 usage and hasn’t left my wrist other than to dry it off after showering. so should I have buyers remorse to have bought a F3 HR? I daresay, nobody seems to regret getting any fenix 3. That’s why SUUNTO should be quicker and better — they should be scared! That is probably a little overbroad. The F3Hr has subpar gps and hr accuracy compared to others. Certainly not as good as my Tom Tom Spark. Ray seems to admit such in this article and others. He definitely admits the hr accuracy is subpar for Garmin’s Elevate here. I certainly am not the first nor the last that will compain of the F3 gps accuracy issues. Fellrnr and many, many, other reviewers have concluded such. If I were to recommend a gps watch with hr for a runner it would not be the F3hr. I would recommend the Tom Tom Spark, 235, or 735xt. The F3hr is too heavy combined with the accuracy issues. That said, the F3 and F3hr shine in many other areas that make it compelling despite the gps and hr accuracy issues. The gps and hr accuracy issues may be tolerable if you need a triathlon watch. Although not exclusive to the F3 and F3hr the apps and more substantial activity tracking of the Garmins are much better than the Tom Tom. The better looks, better activity tracking, dive app, multiple watch faces, autopause, etc. have convinced me to keep the F3hr but I will most likely run with the Tom Tom Spark. Still $600 is hard to swallow for poor gps and hr accuracy. Well, it’s better than my FitBit Charge HR, right? As a whole. And, if one wears it all the time, the mean the the tracking day-to-day is what one’s looking for. Workouts should probably rock the chest strap or that cool HR hat. I did actually regret getting the Fenix3 due to really bad GPS accuracy during a dozen or so runs and went back to the Polar V800 after about 1 month. Is it so hard to give the user the choice of HR sampling rate like Garmin used to do for GPS recording? It seems giving the users the choice would be the best option. If they are going with Valencell, then I will be picking up this watch asap. I have nothing but contempt for all things Garmin. The last seven months with 4 of their watches have been a slog and a pain. The forerunner 235 was such a disaster (the OHRM) that I went through 3 of them in 3 months. Currently I have the fenix 3 hr and it too is bad (and not just the OHRM). Suunto has had my eye for sometime and if this is going to be a solid and ACCURATE watch, the cost is well worth it. Luckily I have an REI nearby. Thanks a lot Ray for being on top of your game. News about new Suunto devices never come early enough! I am a bit confused about their launch strategy though. They announce a new top model to be released in August and then announce a lower-end Spartan Sport model, then that an OHR version will only be available for said Spartan Sport model… 5 months from now?? It looks to me like the upcoming OHR Spartan Sport will cannibalize both the Spartan Ultra and Spartan Sports markets and might induce people to wait until Christmas rather than buy the soon-to-be released models. If Suunto is planning to release something like an OHR device built-in a replacement wrist strap (I have read that’s a possibility for the next Apple watch), that would be a different story. Early news had me going for the Sparan Ultra but now I’m not so sure. Hopefully we’ll have more details soon. What?!? Did the mini-Maker pop out already??? What a cutie! Congratulations! Also to your wife, hope she is doing well. Huh, they call this thing “ultra” and it doesn’t come with altitude profile?? Doesn’t make any sense and that’s super disappointing. Most epic and famous ultras are all about the elevation. Also, instead of the integrated OHR and known issues around accuracy, battery drain, tightness etc. I wish they would just roll it out with a Rhythm+ type separate optical band that matches the Spartan in battery life. If you read the specs, the ultra does have an altitude profile and will allow you to route via altitude probably somewhat similarly to the Vertical. Where it only says “GPS/GLONASS tracking and route navigation with waypoints and real-time breadcrumb trail”. Do you have another source to confirm routing via altitude? 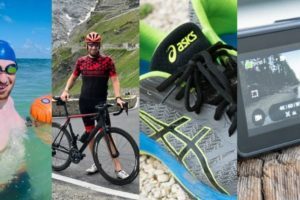 The lack of it would be a total deal-breaker for me (and probably also other ultra trail runners) when it comes to a newly released top of the line sports gadget in that segment. In your link, section altimeter, barometirc altimeter (tick)……sounds like you can be delighted. I am probably still too jet-lagged but are we talking about the same thing here? I don’t doubt for a split second that it has a barometric altimeter but what I am missing are some clear hints toward the Ambit 3 Vertical functionalities such as ‘Route altitude profile on watch’ etc. There I thought for a second I had found the ultimate watch for my purposes but I am not willing to plunk down that much cash on a new top-of-the-line gadget when (again) it doesn’t even come with the same functions that older and/or lower ranking models or brands have. The Vertical has it, the F3 HR has it – why not the Spartan Ultra?? It’s only about software because the required hardware is already all in there – these are very much conscious and intended product marketing decisions by Suunto and I cannot support this kind of nonsense. Goodness Suunto, please don’t make me get an F3!! Ingo I noticed this too but there will be a lot of fields available so maybe an oversight. I totally agree as a runner of ultras I want this too. The navigation looks much, much improved on the Ultra compared to the Ambit. I will likely pre-order one. I will certainly post back if I find the you can display an altitude profile. Btw, I found some Suunto messages on their FB page about certain exclusive features on the Traverse that people asked to have made available on their other watches and Suunto explicitly stated that certain features of these variants will stay exclusive. Now look at how the Vertical was advertised: the ‘route altitude graph on watch’ function was one, if not the main sales point when it came to market so you can bet now that we won’t see that exclusive graph on the Spartan Ultra – only on some stripped down lower ranking Spartan Vertical variant at a later stage. This kills the Spartan Ultra for me. Not that I don’t badly want it now that I have been holding out for so long with my Garmin 620! But this Suunto watch is expensive, it’s called ‘ultra’ and I cannot endorse a company that’s holding back already developed functions when it releases a new product. Might as well wait for a Fenix 4 now and just keep using the heck out of my old Garmin. Too bad as I was really looking forward to Suunto’s next big watch! So did I just spend $850 on a watch that will be obsolete in six months? Just wearing my old Ambit (1), still a pleasure, perfect GPS. Now…that Valencell deal sounds real good, I hope not too good to be true. Also been using an optical sensor for some time (PulseOn) that actually was quite efficient, even if nobody seems to know it. So I was waiting for something efficient and well integrated, and Spartan could be the case….Finally. Ray, I’ve ordered the Ultra via CT and just so folks out there who support you via CT are clear, the 10% still applies on non Garmin products. A discount code is no longer needed once you log into your VIP account, rather the discount simply comes right off and is displayed during the ordering process. And, it automatically deducted my saved points. Personally I think it’s a much smoother system than having to plug in a VIP code as in the past. I ordered the all black titanium unit simply because this watch is also replacing a nicer dress up watch I used to own that has been lost. So for business and pleasure traveling, this watch is multi purpose. Looking forward to your review, hopefully it will show Suunto’s usual accuracy and not cause any of us pre orders to want to cancel. Thanks Josh – I appreciate the support! 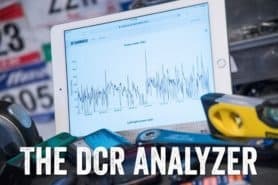 And of course, using the DCR Coupon Code DCR10BTF saves you 10%, plus the free US shipping (Intl shipping is $29). The way I read it, please correct if wrong, is only the sport model has optical heart rate. Does this mean that the sport models you can pre-order currently have optical heart rate, or that a new model will be released in the near future with optical heart rate? Several years after the first optical HR trackers, there is still no one that does accurate underwater/swimming HR tracking ? Was wondering the same thing myself. Finding an accurate, real-time solution outside of the water is easy. Finding one for use in the water has been an exercise (ha!). 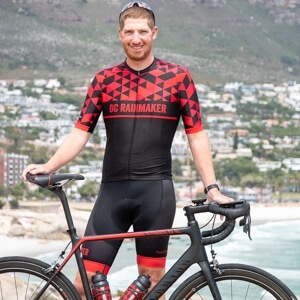 Any idea when you might be getting your hands on a tester model, DC Rainmaker? The regular Spartan, any day now I believe. I sent over an e-mail a few hour ago asking for the tracking number, since I as under the impression they were shipping it earlier in the week. I just noticed on Suunto’s website their pre orders aren’t shipping until Aug 15. When I called Suunto the rep said it was most likely to assure quality of everything and that the anticipated date should be stable now. Is it safe to assume my pre order with CT will be delayed the same couple of weeks? Curious if you’ve received your unit yet. I haven’t received my unit yet. 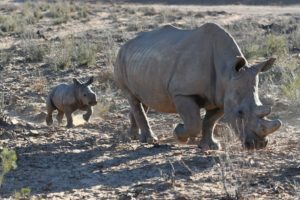 I shot over a note late last week asking about tracking, but haven’t heard. I’ll check with the CT folks and see what they’ve heard. Thanks. As of a couple days ago the fine CT VIP folks replied all was on time, but I think that was before SUUNTO changed their website shipment time. So if i’m reading it correctly. The ultra will not have optical heartrate and the sport version only in a second version for christmas? All that matters at this point is how well the GPS works on that shiny new Spartan Ultra you rec’d today. If it is as good as the ambit series, then the sport with OHRM is worth waiting for, assuming the OHRM is as good as the Rhythm + I use with my 230. Perhaps a quick update after a run or two instead of waiting for the all out review :). You’ve shown how poor the gps elevation data is on the 735. Is it safe to assume that the elevation data on the ultra will be far superior to that of the sport? Yeah, it’s solid from what I’m seeing thus far. Does the Spartan family have the ability to receive call and text notifications? Maybe even respond to such notifications via the watch? It receives notifications of them, via the standard notification center pieces. There isn’t any method to accept/decline a call at this time on the Spartan. Thank you Ray. I just looked at the entire product specs for both the ultra and sport. Do they count daily steps? I didn’t see that listed. Thank you again. My question is, will optical HR mean that we can get some HR readings when swimming? Or is there a cool swimming device you recommend for recording swimming HR ( for guys)? I hate wearing straps that keep moving everytime I push off a wall. The best solution I have found has been using the mio fuse. I can use it by itself just to record the HR throughout my swim session or if i wanted to combine with more metrics i swim with the mio fuse paired to my ambit3 peak (wearing both in the same arm). I am looking forward to ambit3peak like watch that allows for optical while swimming. Fenix3 deactivates the HR while swimming. So hoping Suunto solves it. First proper run with the SSU: around 12km, over 1 hour of running. I had my Scosche Rhythm+ paired to the watch- it all worked like a charm! Could not be happier- including GPS/instant pace. Hello , I’m keen to understand how is the special running interval mode in the the Sparta Ultra ? currently I’m using my Ambit 2 ( very limited embedded functionality related to interval running ) with third party interval app generator. Is it possible to plan interval workout with different times values ? for instance ( 1 Min Low and 6 Min high ) X 5 plus ( 2 Min Low and 10 Min high X 2 ) and also if it can been planned directly from Movescount App or/ also from PC ? Just got off the phone with Suunto support. Many people have reported problems with many escalated cases being investigated. People have also been submitting reports on the poor GPS accuracy we have been witnessing since launch. Suunto is working on a fix that will come along with the big update in early September! Both devices were very close to each other during the ride- maybe 5cm apart. The Edge 820 looks cleaner to me personally. Movement speed averages are very similar, while elevation gain vs elevation loss range is similar. When should we expect the in-depth review? Thanks! Ray, will the new Spartan sport, or even the ambit 3 series, work with the Garmin speed and cadence bike sensors? I will answer this because it took months to research this. The answer is NO. Because the connection technology completely differs. Suunto works with Bluetooth and Garmin is ANT. Now you might think if you buy a bluetooth sensor like WAHOO this will work, still the answer is no because the bluetooth technology is mostly for connection with your smart phone. One other question, Moe please feel free to answer, Suunto’s website shows that their bike speed/cadence sensor also works with ANT+, if this is the case then it should broadcast to both a Garmin and a Suunto device, correct? Actually, Wahoo does work, because all Wahoo sensors made in the last few years are dual ANT+/Bluetooth Smart. The Wahoo sensors all use Bluetooth smart standard profiles (i.e. speed/cadence/power/HR/etc…), which the Suunto understands just fine. For example, I’ve been using the TICKR HR strap with the Suunto Spartan Ultra, while concurrently having it picked up by my Garmin. Thanks DC. then why does wahoo site says the bluetooth technology is for smart phones only? having said this, can i use my suunto smart sensor belt with a garmin fenix3hr? For the most part that was true till recently, but these days head units like those from Suunto and Polar are Bluetooth Smart too. Unfortunately, the Suunto Smart Sensor belt is Bluetooth Smart only, and the Garmin products are ANT+ only (so the inverse problem of Garmin hardware with Suunto). Some companies like Wahoo and their bike computer solve this by being dual everything. is it possible to show the current gps position on the ssu? and what’s with POIs? I’m not aware of a way to do it (and nobody has corrected me since the last time I said that a few days ago). I’ve been trying to find a full feature list for the Spartan since the September updates but to no avail. Does anyone know where I could find a full breakdown..You know stuff like does it have a stop watch etc…. It is in suunto website under suunto spartan getting stronger or something like that. I do not find reliable information to the question: do Suunto provides a version of the Spartan Ultra HR with an optical sensor? Do you have a clarification on that ? Thanks in advance ! Keep in mind the Rhythm+ is based on different sensor tech than the Suunto Spatan optical variant will be. is it worthwhile to give an update about the obvious issues early adopters seem to have with GPS accuracy, battery life and delayed features? Luckily I personally have been holding off waiting for the HR version (ideally as combined model with the Ultra). Understand you want to wait for a full review from one of your tweets but to be honest – the product is out there since a couple of months and people should be made aware if this. Seems also that Suunto is refunding customers willing to so so. Oh, it’ll be the next in-depth review I publish. I’m going to try and squeak everything in for completion tomorrow, though, it’ll be tight. At worst, then Monday/Tuesday. I had kinda been waiting to see if the non-Ultra version would show up on my doorstep, but it hasn’t happened yet. I might just skip it then in this and wait for reviewing it once it has optical. Thus making this purely an Ultra edition. Fwiw, if one wants a preview of GPS accuracy, check out the table in the GPS Accuracy in my M600 review from yesterday, almost every single line-item in that GPS accuracy table has SSU (Suunto Spartan Ultra) GPS data in it. Have you heard anymore about when the Suunto Sport will be released with Optical HR? I’ve been waiting for “before christmas” and getting a little impatient now. Thanks and great work with the website. It’s my go-to site before I make my purchases. Looks like Suunto just announced the launch of the Spartan Sport Wrist HR – due this spring. Ray- any word on when you may receive one for review? This is the watch I’ve been waiting for to replace my ambit2. I hope that they learn from all of the mistakes that they made when they first released the Spartan. You’ll see my hands-on post in a few hours.